As an adult fan it's hard to find the sweet spot for this cartoon in between the target audience and the dominant audience, but this book is it. 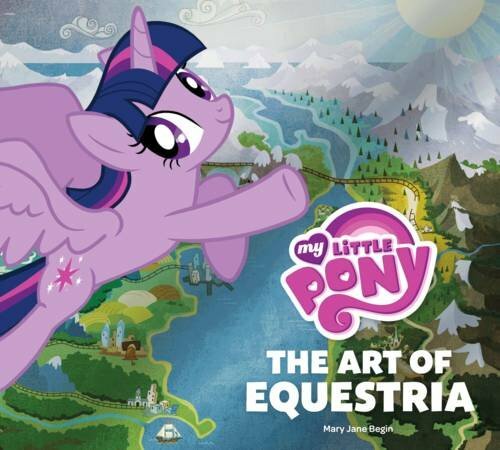 The subject matter is cutesy and simple enough on its own, so the text is straightforward and relevant instead, and there's a lot of concept art, original sketches, and quotes from the artists. Plus, it's glossy and beautiful, and I'm keeping it on my coffee table for the next few months at least. Okay, so this next thing wasn't a Christmas gift, but when you spend all day shopping in the city you have to buy one thing for yourself as a reward. It's practically a rule. I think I overpaid for it but I also got a free tote from The Strand for spending over $50, so no regrets. On the other hand, I've never done the adult coloring book thing before and I'm not really sure how to approach it. I own a sweet set of colored pencils and I enjoy coloring, I just feel like I'll be overcome with shame or something when I fill in a picture instead of creating the outline myself. But anyway, the art's really nice. 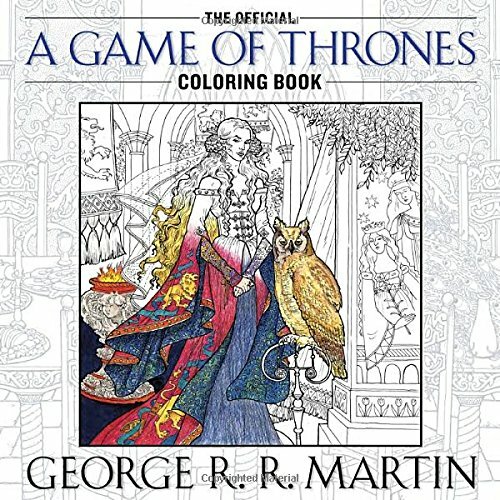 There are a few odd choices, like Cersei on the cover there accompanied by an owl. Did someone forget which fantasy series they were illustrating? Bought the latest Hark! A Vagrant collection for my sister and read the whole thing after she opened it even though I'd already seen each strip as it was posted. Hopefully she'll enjoy it too, eh? I received the latest Saga graphic novel from Simon only to realize I'd missed one, so #4 is going to need to get on the wishlist. I mostly collect these just to loan them out, since I buy and read each issue digitally. Another thing that isn't gifts is our new Hulu Plus subscription. I was all like SIGH, we do not need this, but then I found out they have a) Parks & Rec S7, b) Fullmetal Alchemist: Brotherhood through the end, c) Agents of SHIELD (I'm behind), and d) I Love Lucy, so I shut up. Guess you will hear me talking more about TV soon. HAVE I MENTIONED I LOVE PRESENTS.